and media room design and installation since 2006. To serve our customers by exceeding their expectations of service. We will provide quality, state-of-the-art Audio/Visual entertainment products and services at a fair price and in a manner which upholds the best interest of the customer. Our service to our customers will be done with integrity, honesty, fairness, respect, and professionalism. 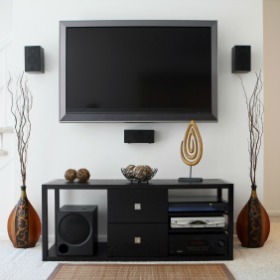 Visit our Home Theater Gallery to see the latest installations from SkyVision AV Design & Integration.